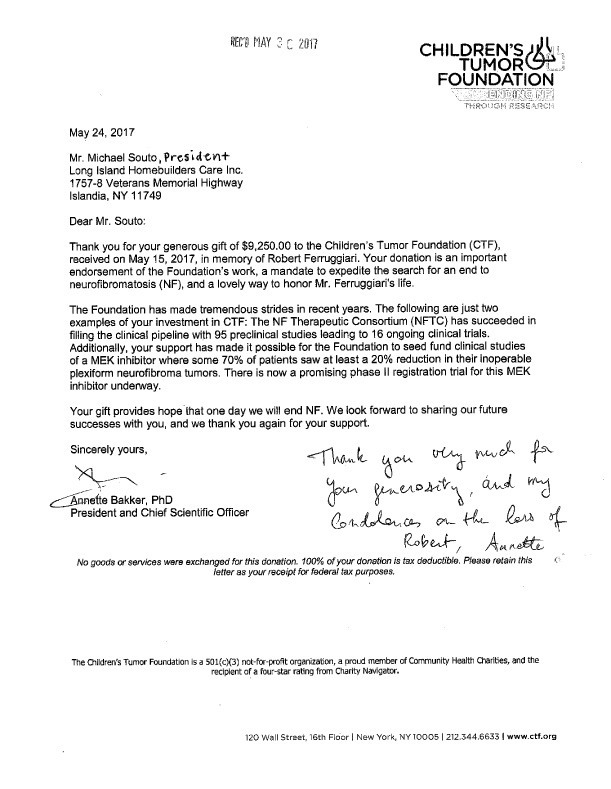 Click the name to see the details. 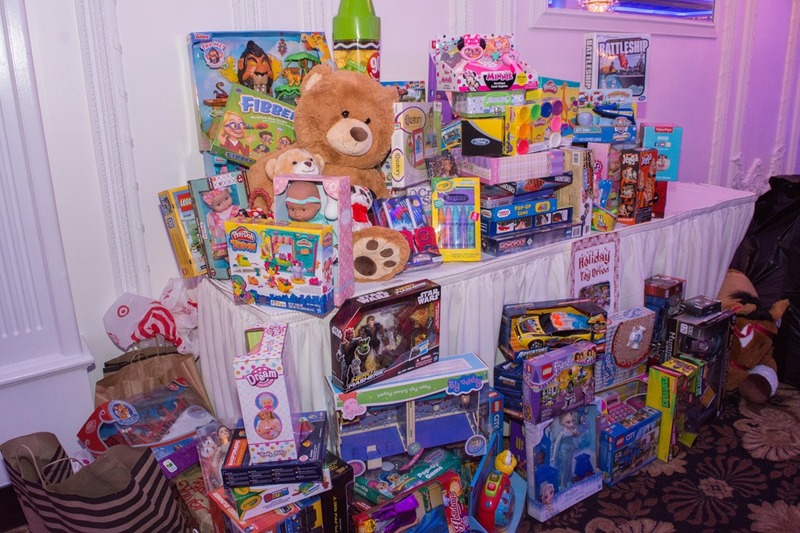 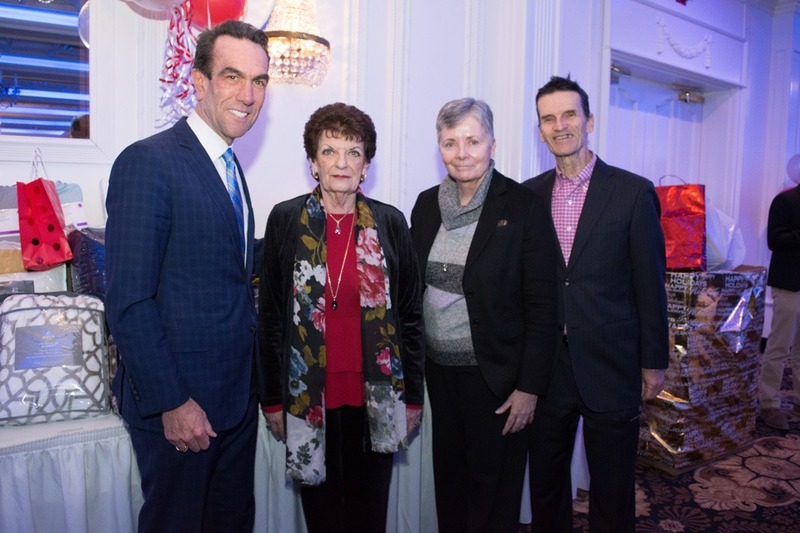 At the LIBI Annual Holiday Party, Long Island Home Builders Care and LIBI Members collected toys and gifts that were donated to the Interfaith Nutrition Network (INN). 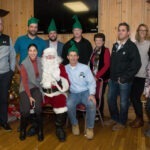 Long Island Home Builders Care Inc. adopted four (4) homeless children’s shelters from the United Veterans Beacon House as well as nine (9) veterans children in need this holiday season. 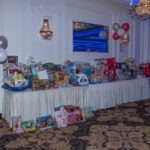 We fulfilled the wish list of all 36 children including a grab bag with various prizes for the children to choose from. 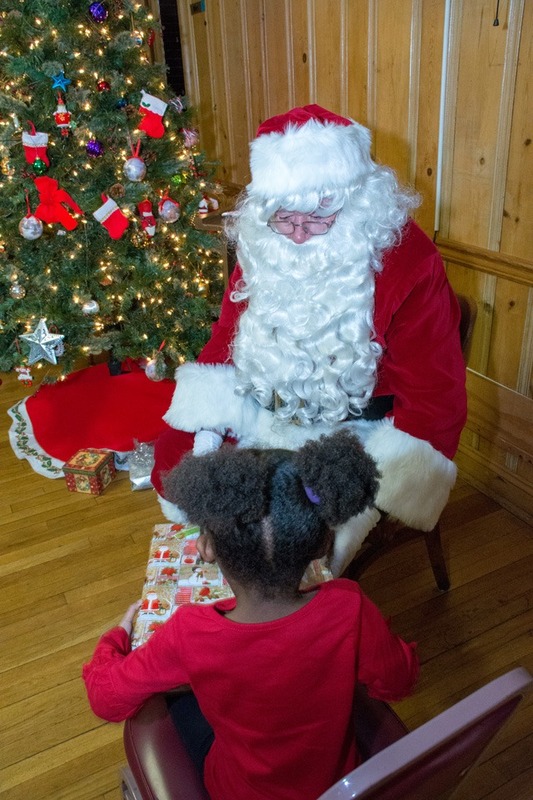 At the party they were able to meet Santa and open a few gifts while saving the rest for Christmas day and also enjoy a nice dinner with their family! 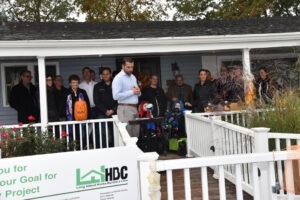 LIHBC also donated personal care items and outdoor play toys to each of the four (4) shelters. 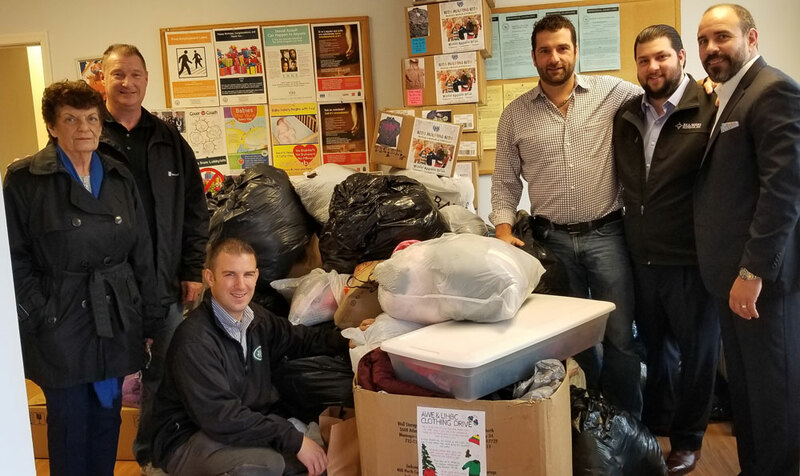 LIHBC partnered with Suffolk County Legislator Monica Martinez to collect clothes for the South Shore Feed the Needs Annual Event at Ross Park in Brentwood on Thanksgiving Day! Go to Gallery to view more pictures. 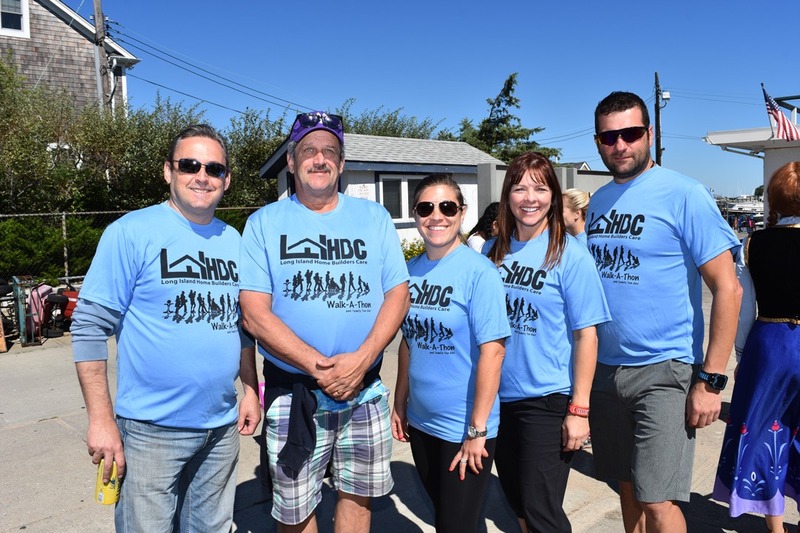 Long Island Home Builders Care Inc. helped the Town of Babylon by collecting and donating a truck load of food and other supplies for their food pantry. 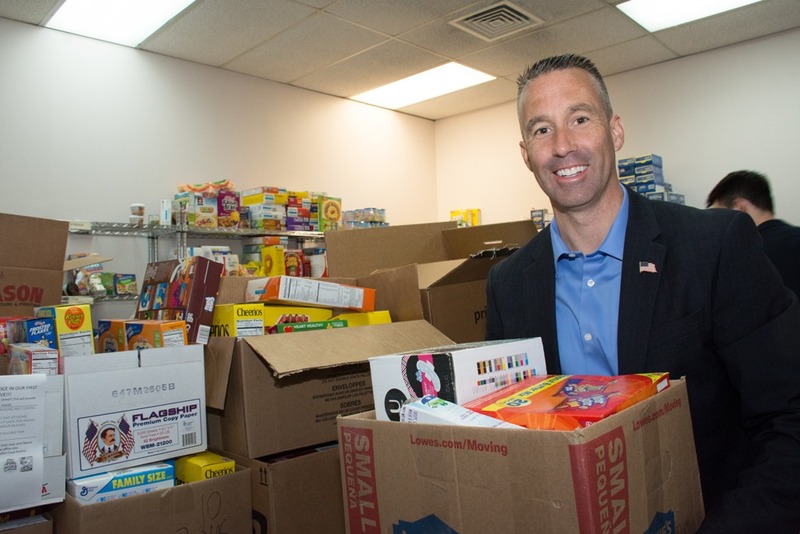 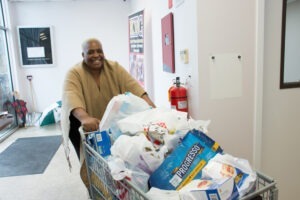 Long Island Home Builders Care Inc. helped Sachem North’s honor society by collecting and donating food to their pantry project helping: God’s Provision. 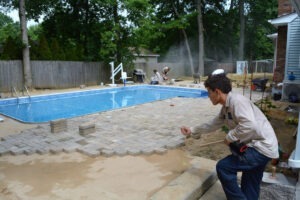 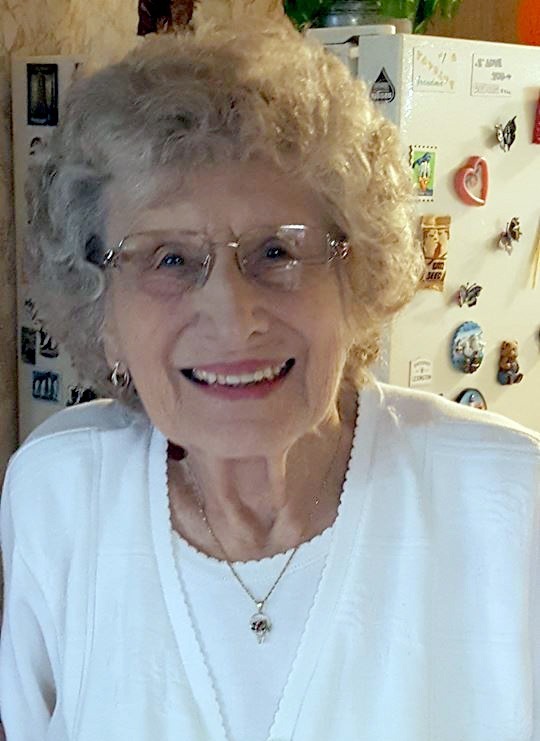 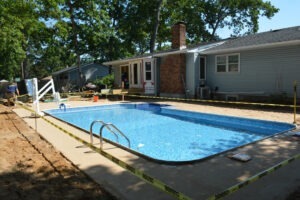 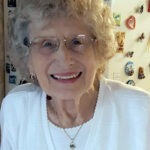 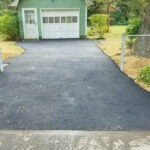 Long Island Home Builders Care Inc. helped pave an elderly woman’s driveway who was scammed by a contractor. 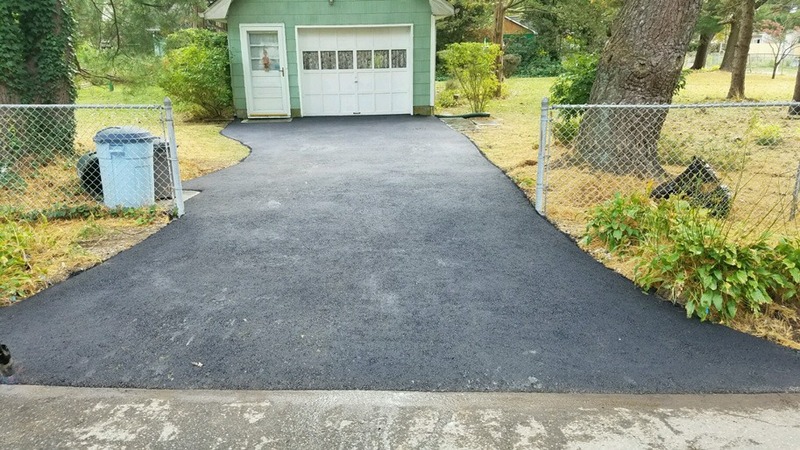 The contractor ripped up her driveway, took her money and then vanished without ever returning to finish. 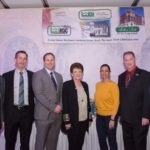 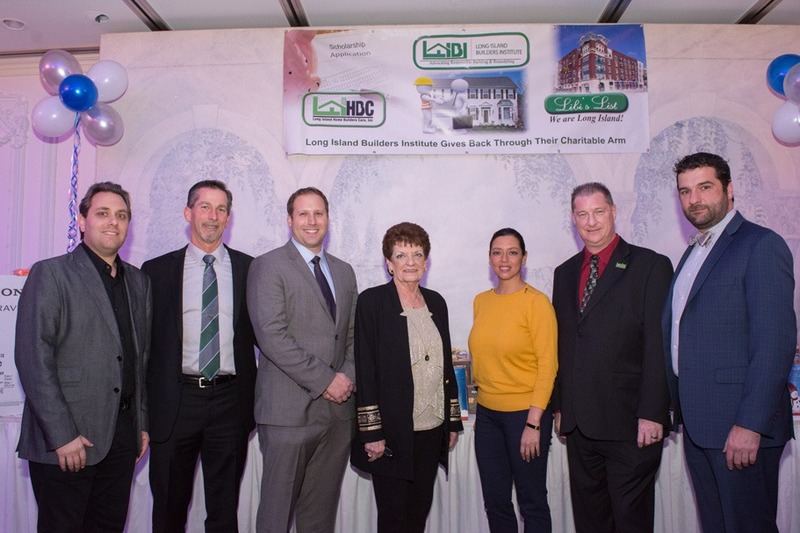 Long Island Home Builders Care Inc. teamed up with Suffolk County Legislator Monica Martinez to help keep Long Island residents in need warm during the cold months. 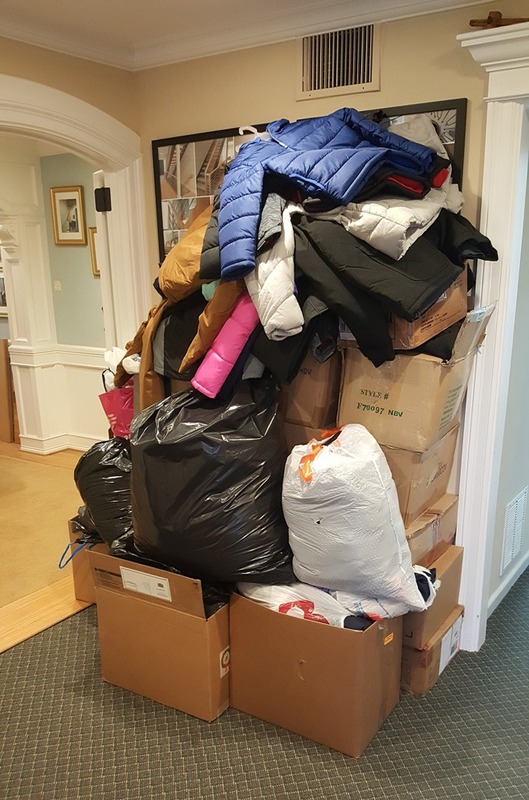 All the items were donated to the South Shore Feed the Need’s annual event at Ross Park in Brentwood on Thanksgiving morning! 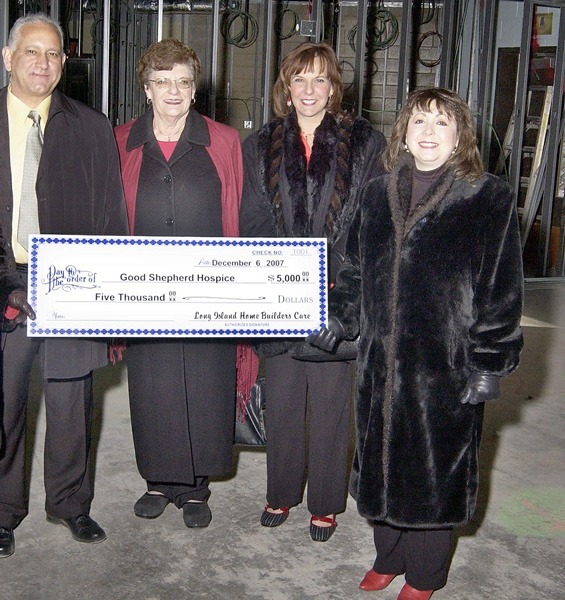 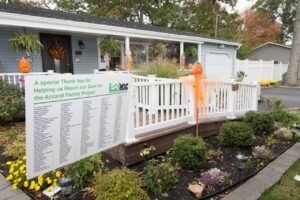 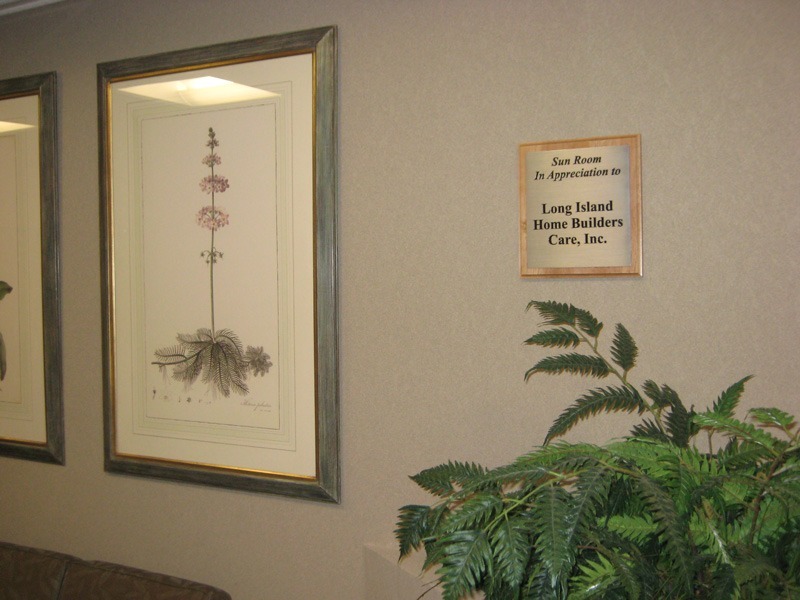 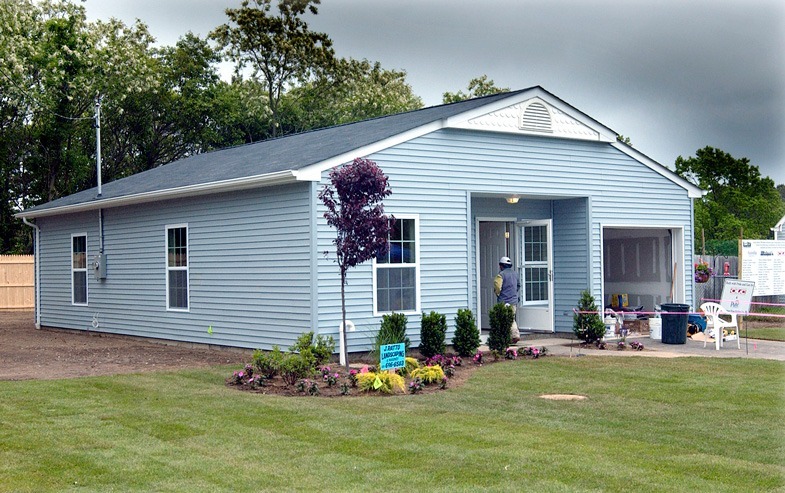 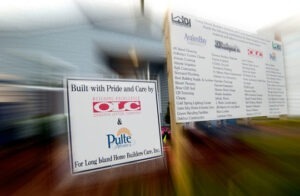 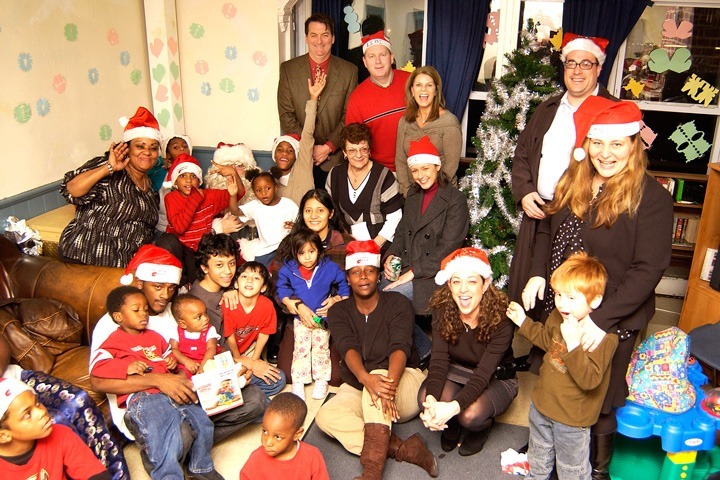 Long Island Home Builders Care Inc. once again adopted a shelter for the holidays. 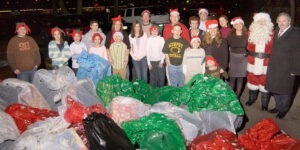 We fulfilled the wish list of 27 children that reside at the Pathways at the Meadow homeless shelter in Medford. 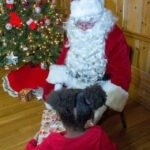 At the party they were able to meet Santa and open a few gifts while saving the rest for Christmas day and also have a nice dinner with food also donated by LIHBC! 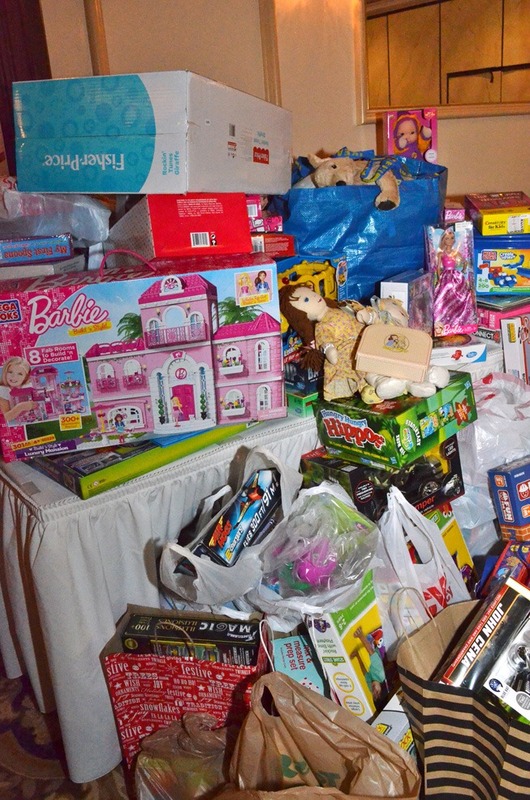 Also, a year supply of infant and children’s personal care items were donated along with the presents! 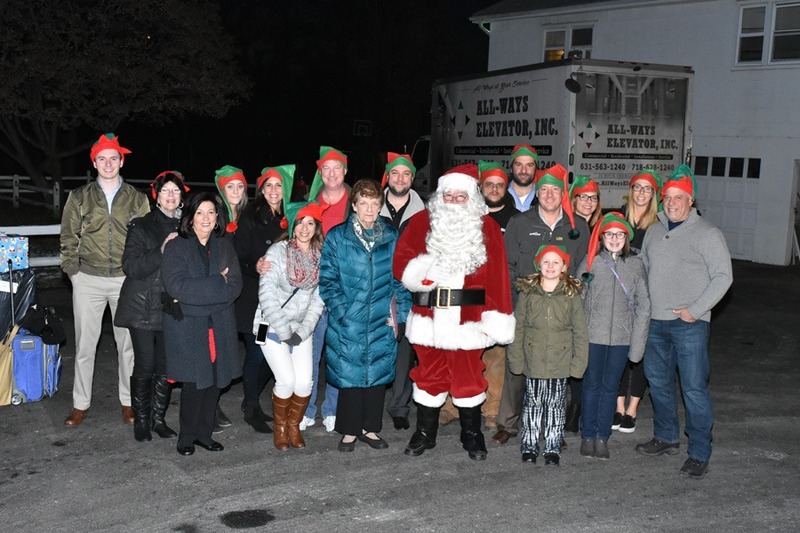 Long Island Home Builders Care Inc. partnered up with Legislator Monica Martinez to bring cheer to families in need. 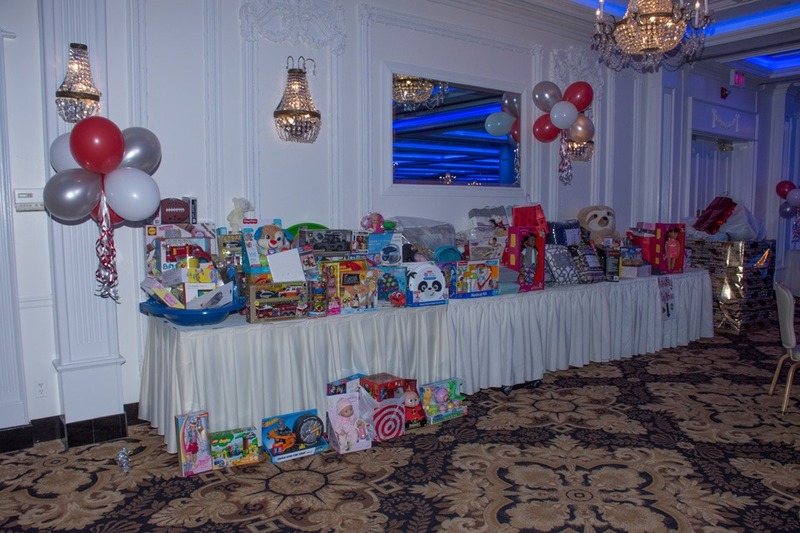 We hosted a holiday party toy drive where those who attended brought gifts that were donated to a homeless children’s shelter in Islip! 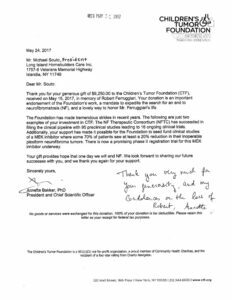 Helped Cadence, an 11 year old girl afflicted with a rare disease called FOXG1 syndrome which leaves her unable to walk or speak. LIHBC created a handicapped accessible bedroom with fun colors, decorations and air conditioning that make Cadence smile and keep her cool. 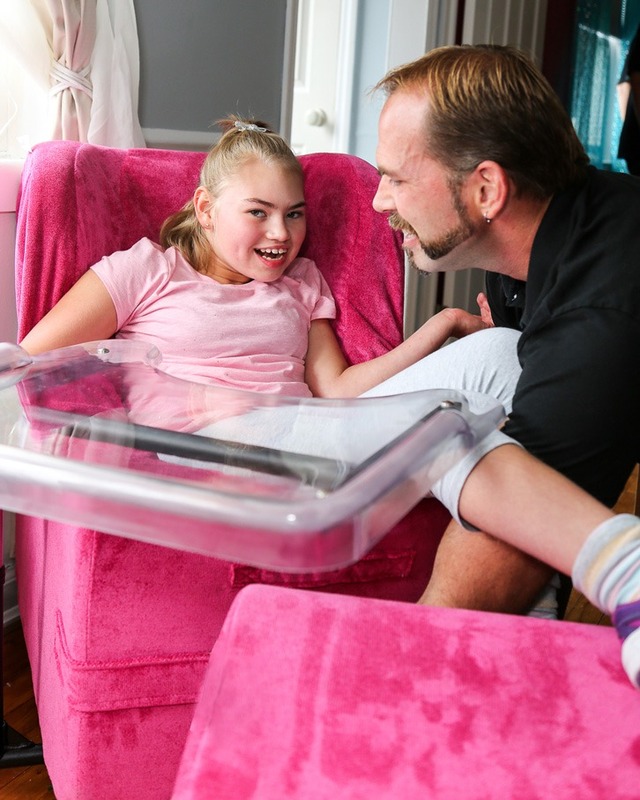 LIHBC also donated a Chill Out Chair Roll’er which allows Cadence to move around easily throughout her house while being comfortable! 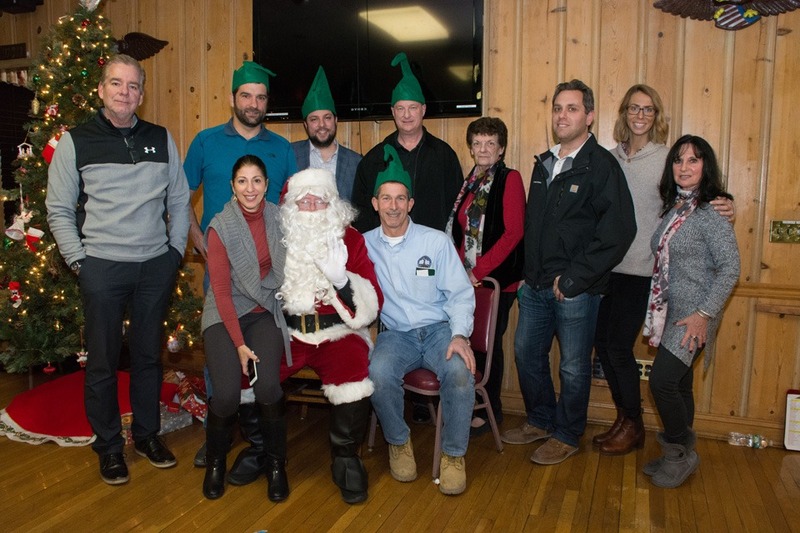 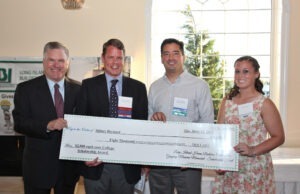 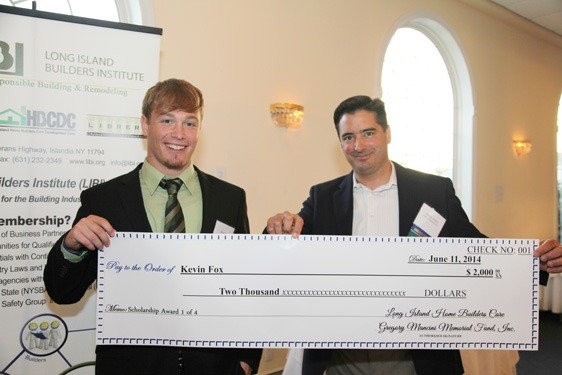 Long Island Home Builders Care donated $9,250.00 to the Children’s Tumor Foundation (CTF) in loving memory of Robert Ferruggiari who passed away at the age of 29 in 2017. 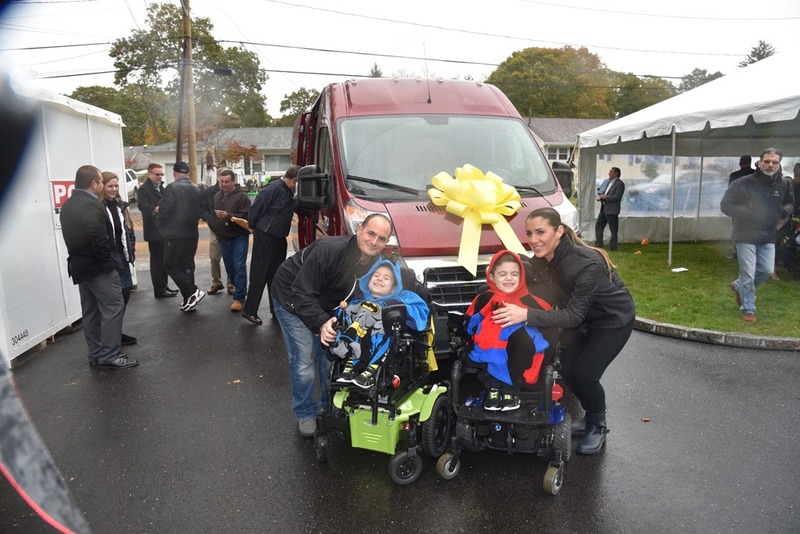 Long Island Home Builders Care helps two young Long Island children afflicted with a rare genetic spinal disease allowing them to move freely around their home. LIHBC donated a van that is equipped to accommodate the physical challenges of the boys, ages 4 and 5. 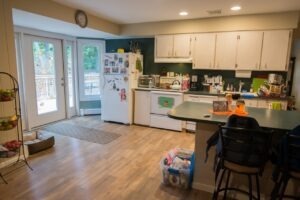 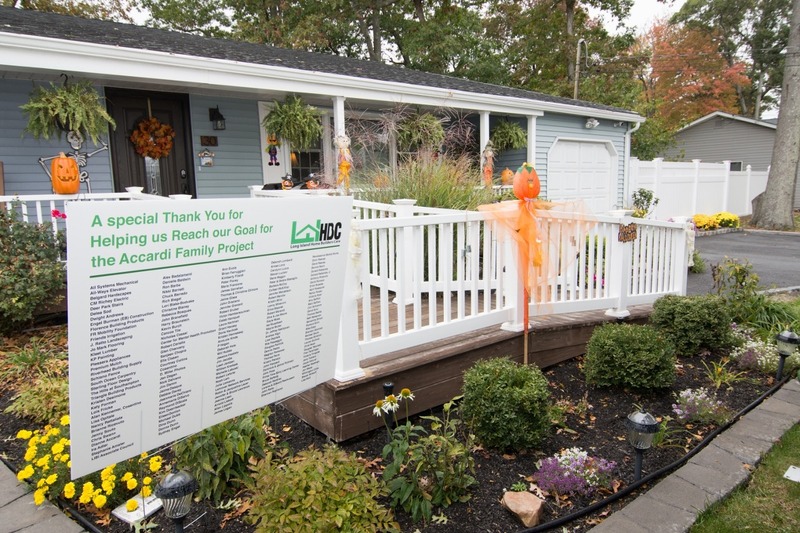 Along with the van, LIHBC renovated their home, completing a finished basement with an elevator, a ramp and deck for a backyard pool, landscaping, ongoing door widening and a redesigned kitchen that eliminates obstacles for the Accardi boys! 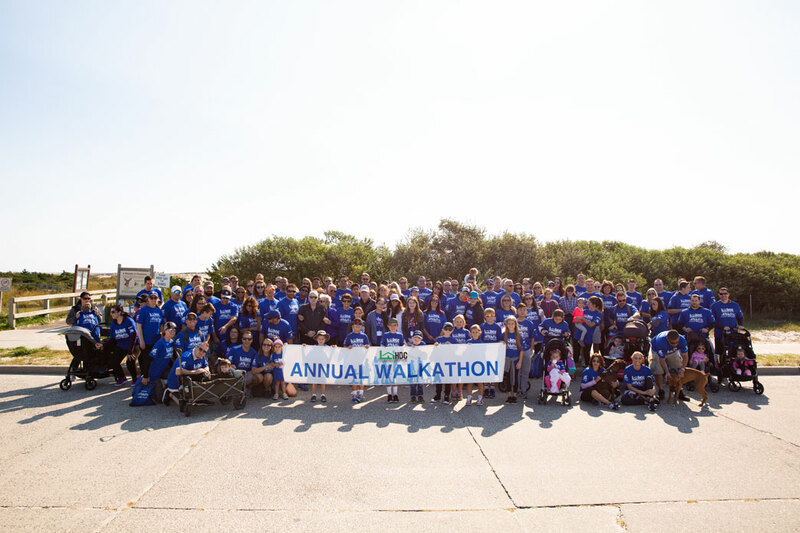 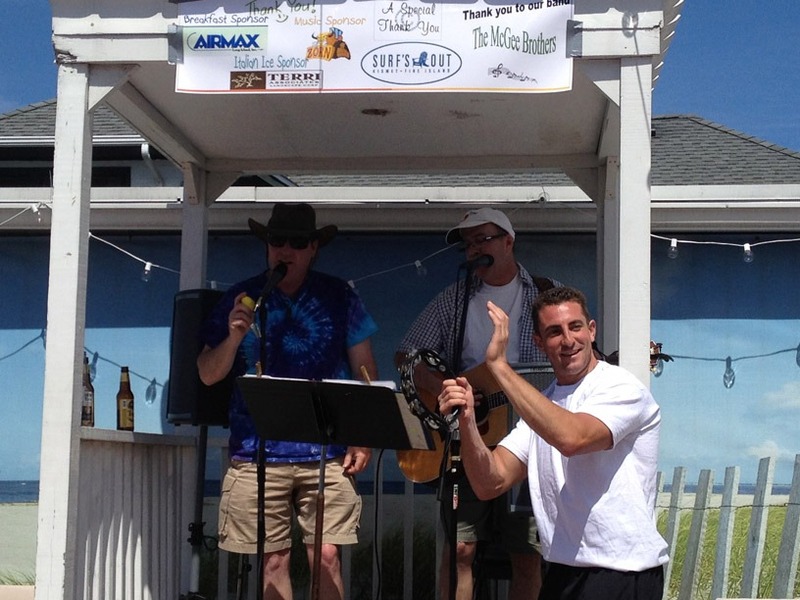 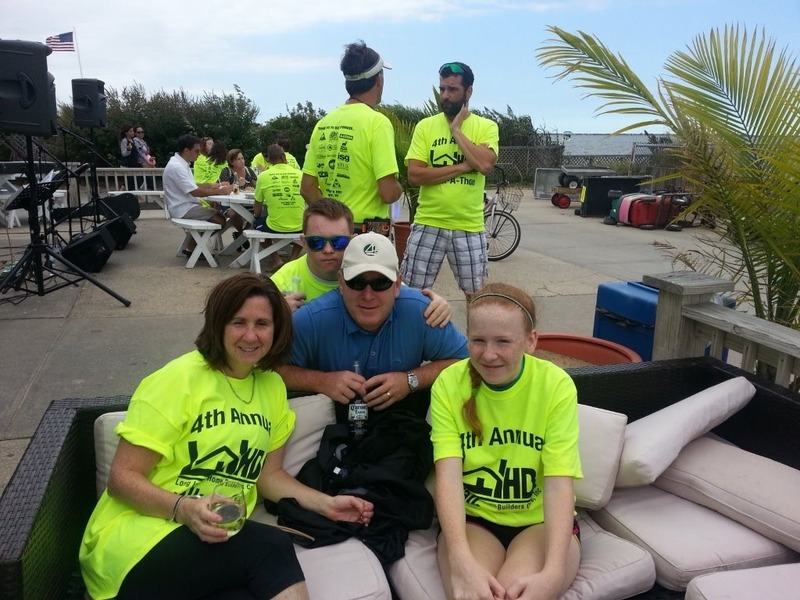 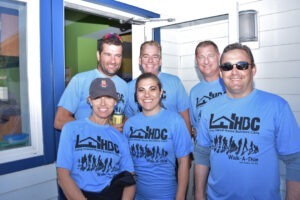 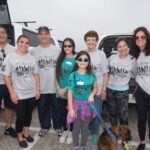 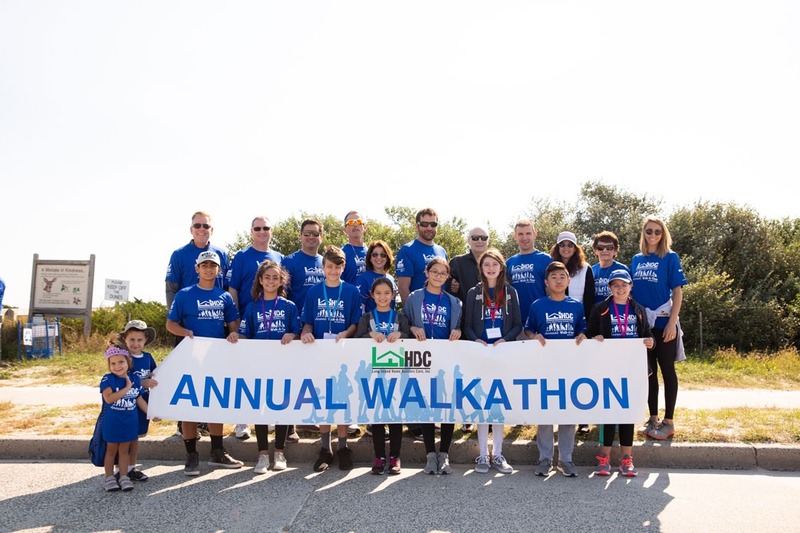 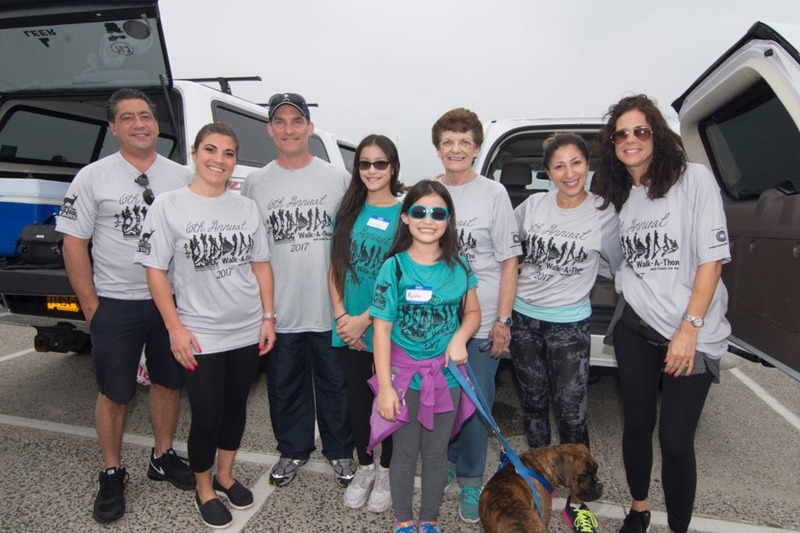 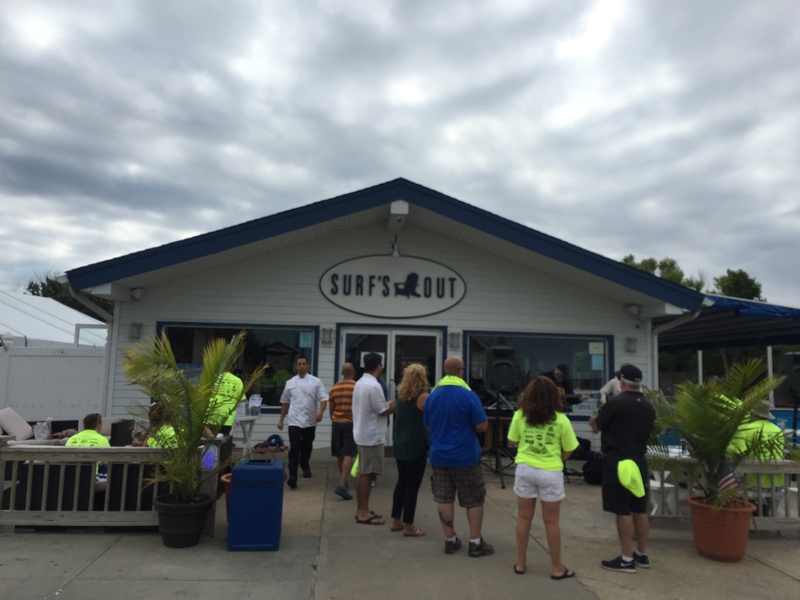 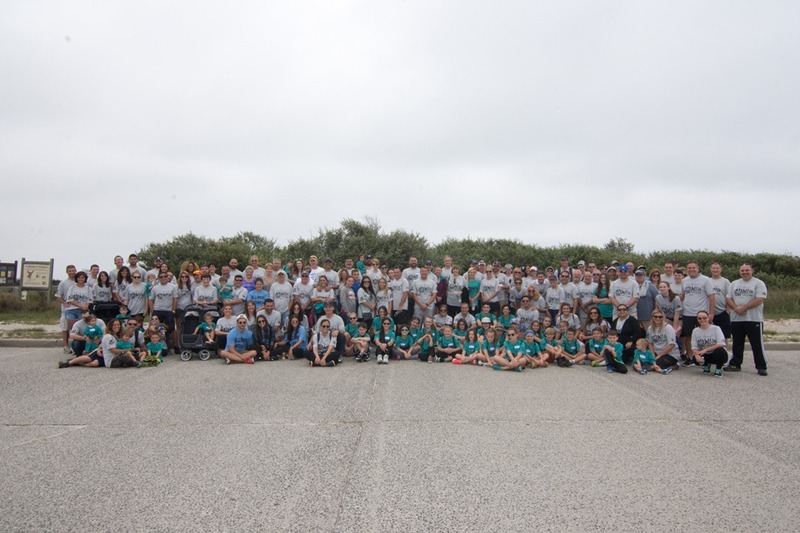 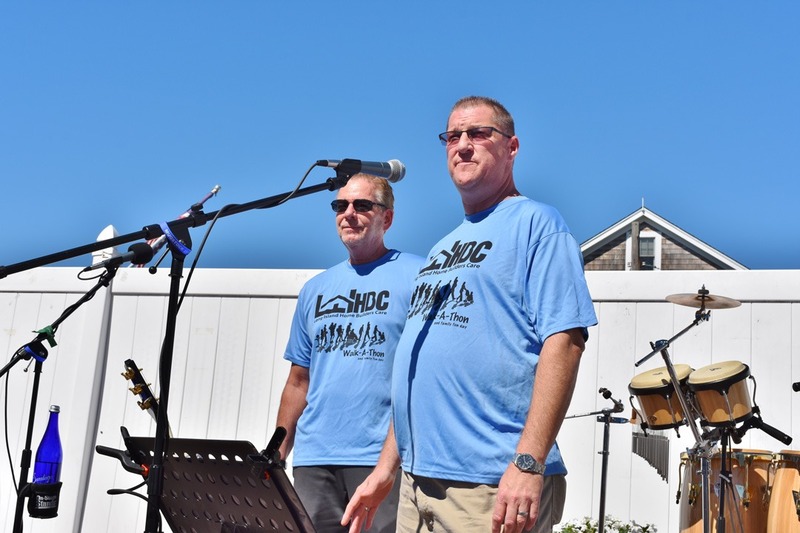 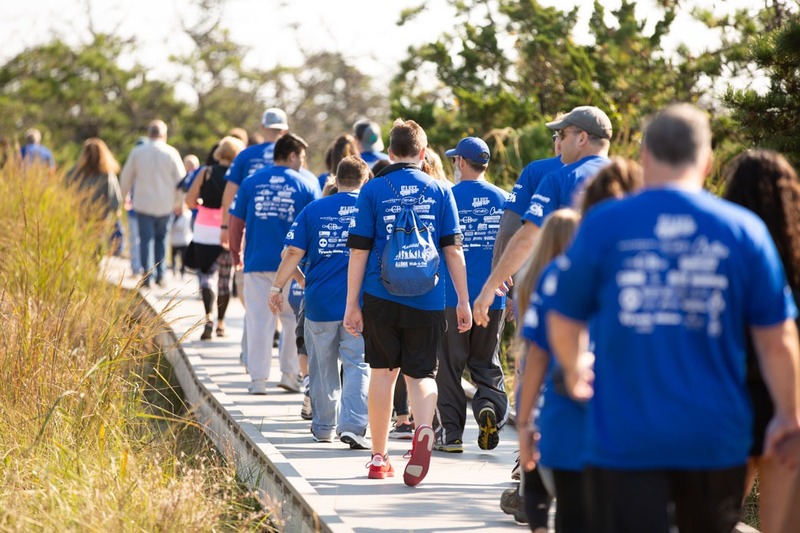 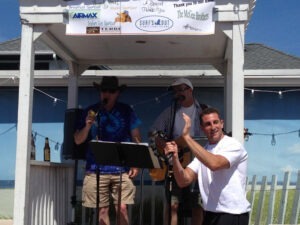 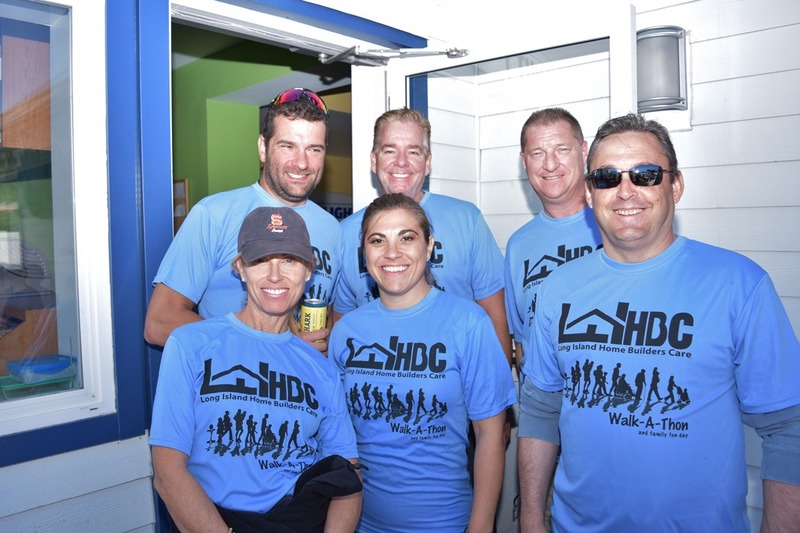 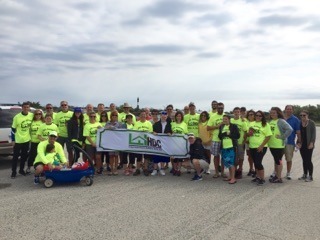 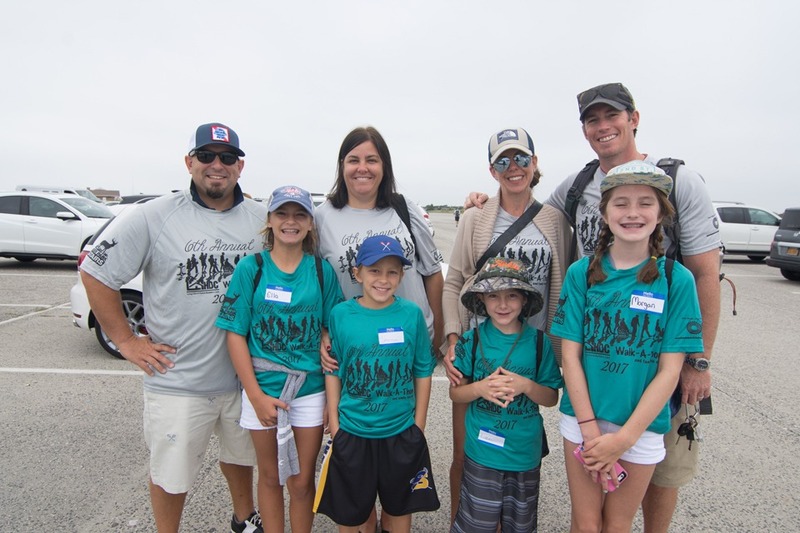 Walk-A-Thon is a fun filled event to help raise much needed funds for LIHBC, Inc.
LIHBC contributed over$100,000 in materials, labor, and cash toward the renovations of the St.Charles Hospice in Port Jefferson. 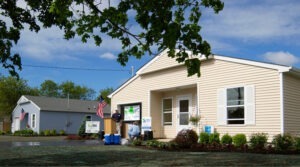 We partnered with Habitat for Humanity to build two homes in five days. 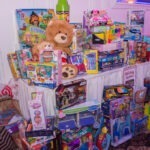 Our volunteers adopted a homeless shelter on Long Island filling each child’s Christmas Wish List. We brought food, presents and gave everyone a Holiday Party that included Santa Claus and his helpers. 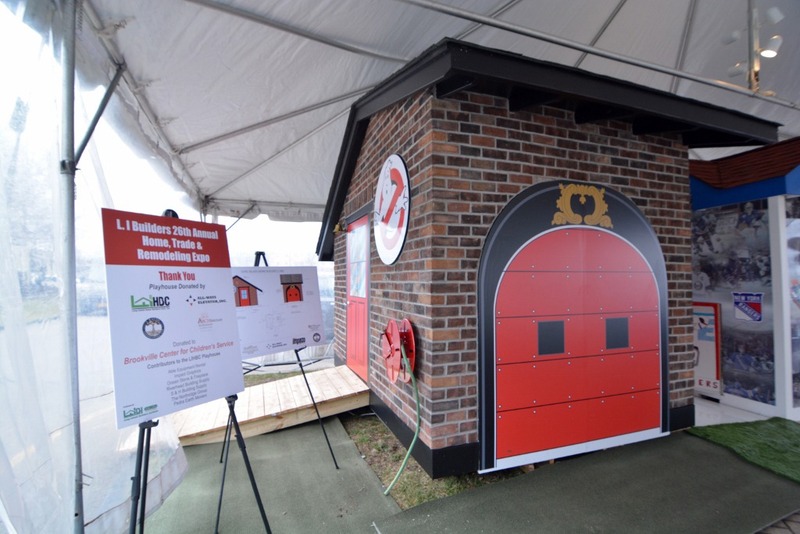 We participated in this project by building 4 homes in 5 days for underpriviledged families. 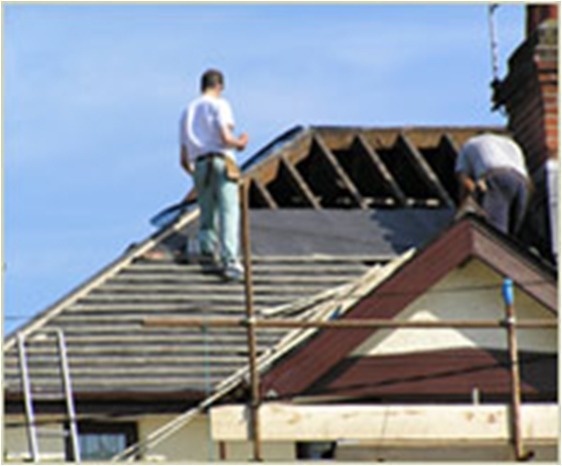 All materials, supplies and labor were contributed by our membership. 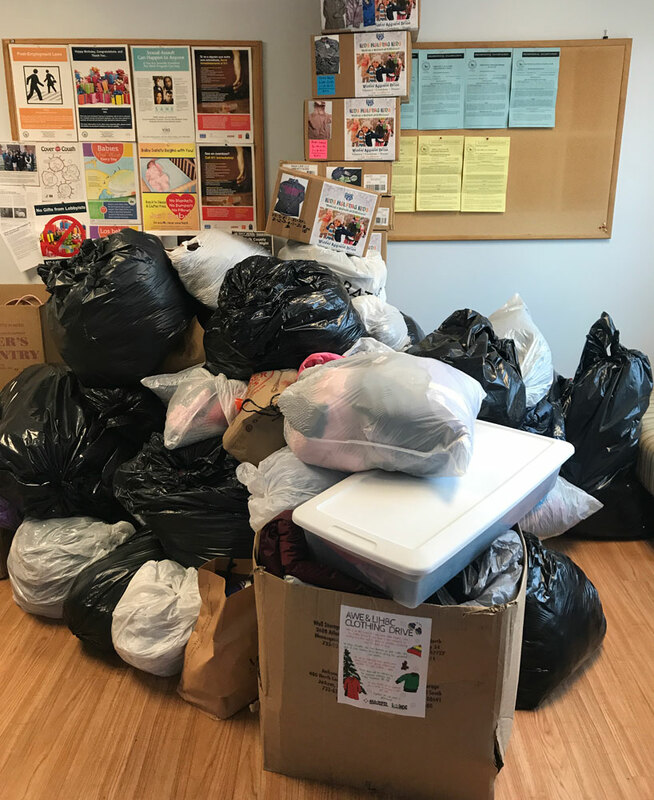 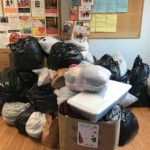 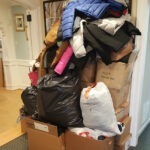 In addition, we donated many items for the home such as pots, pans, dishes, bedding, flat screen TVs, and numerous other things to get the families started. 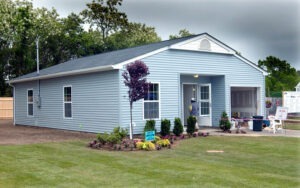 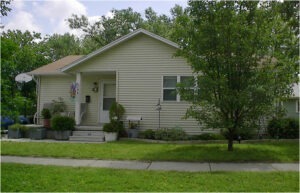 Our volunteers built a new home for a single Mom which was presented to her just prior to the 2007 Christmas Holidays. All materials, supplies and labor were contributed by our membership. Once again, we donated all new home necessities, including toys for 5 year old daugther. 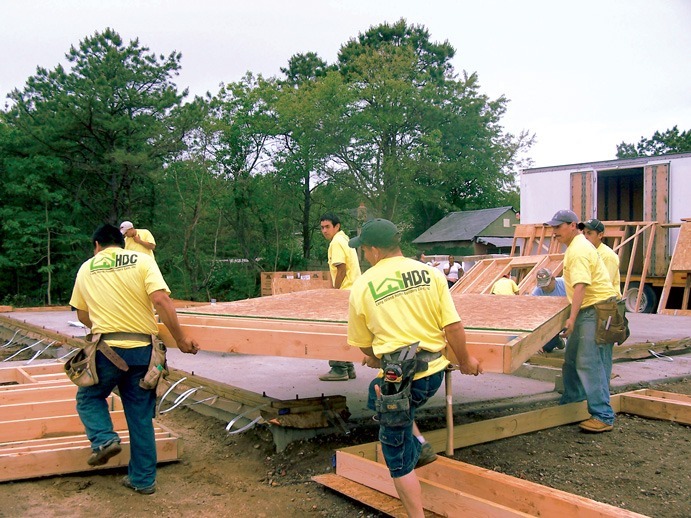 LIBI members and volunteers joined together to build an affordable home for a family in need in Brentwood. Provided roof repair and other home renovations for an individual who suddenly became physically challenged in Islandia. Demolished and rebuilt a home to provide handicapped accessible features throughout, which allowed a severely disabled child to remain at home with his family in Wantagh. 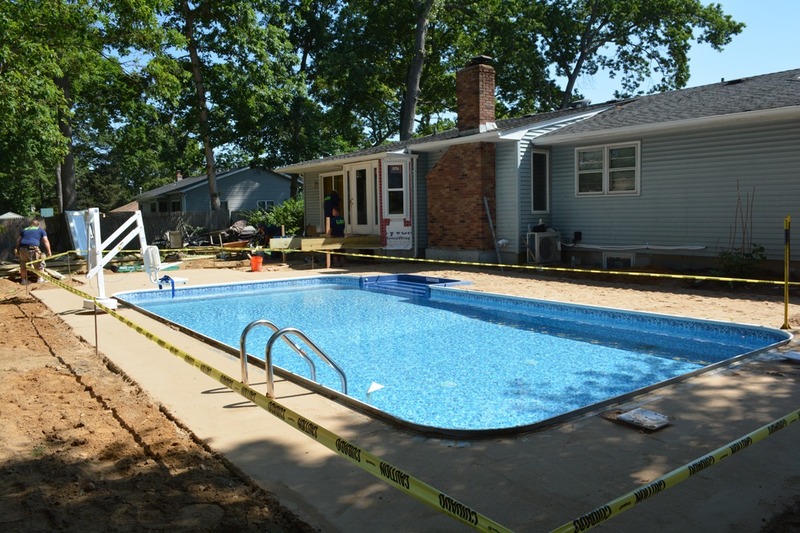 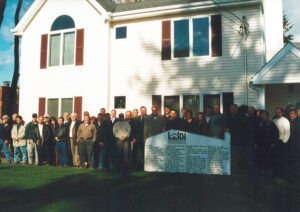 Completed renovations and repairs on numerous homes in the Town of Babylon which were built in a substandard manner. 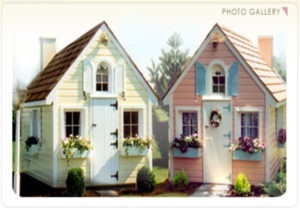 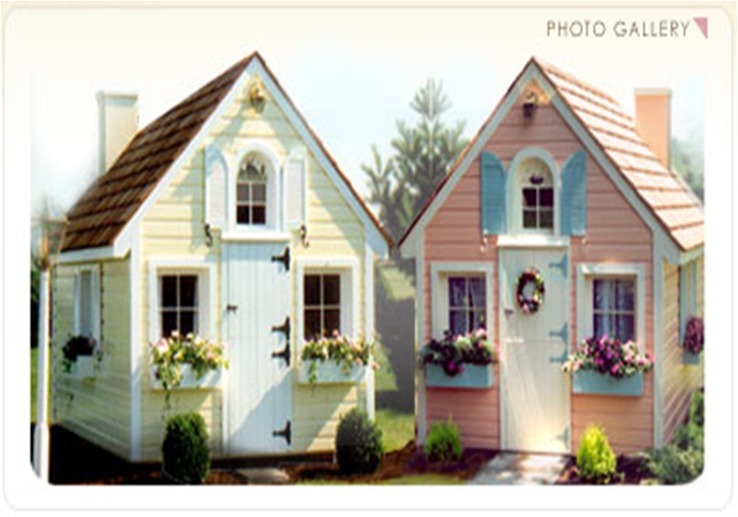 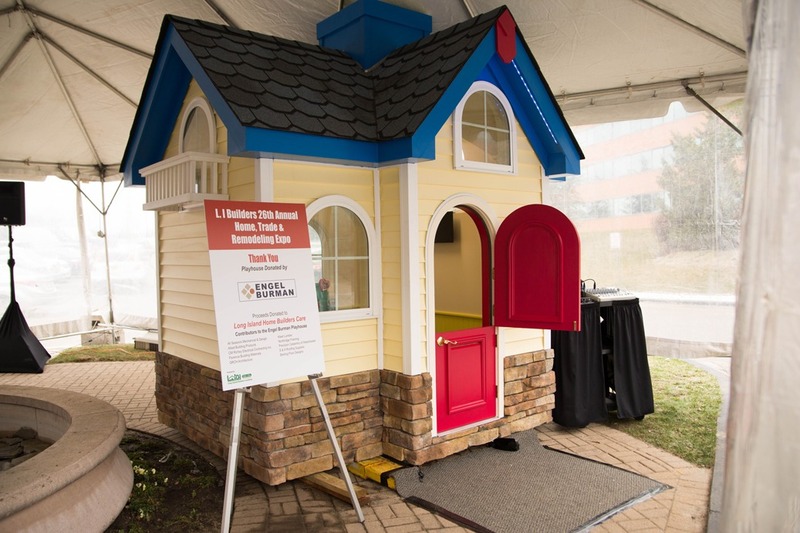 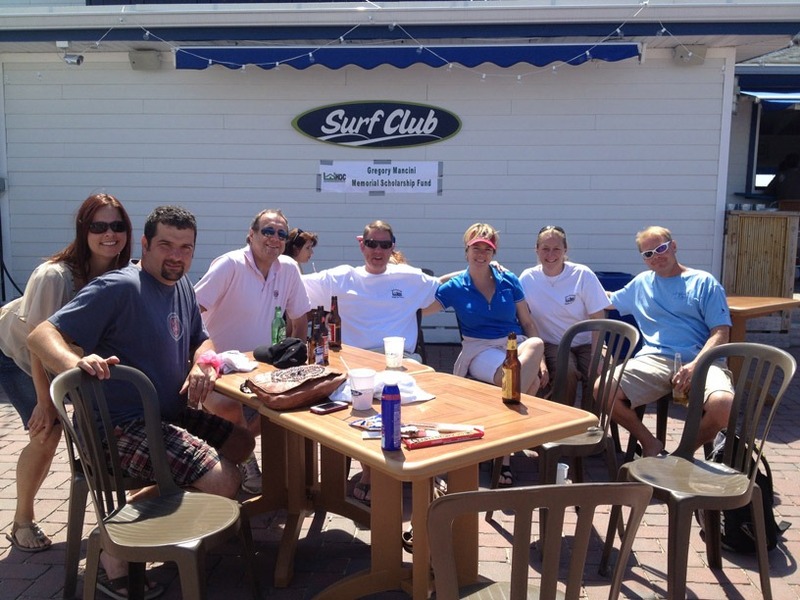 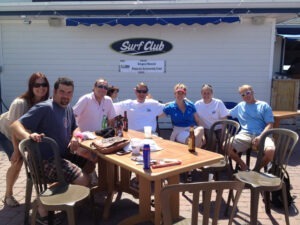 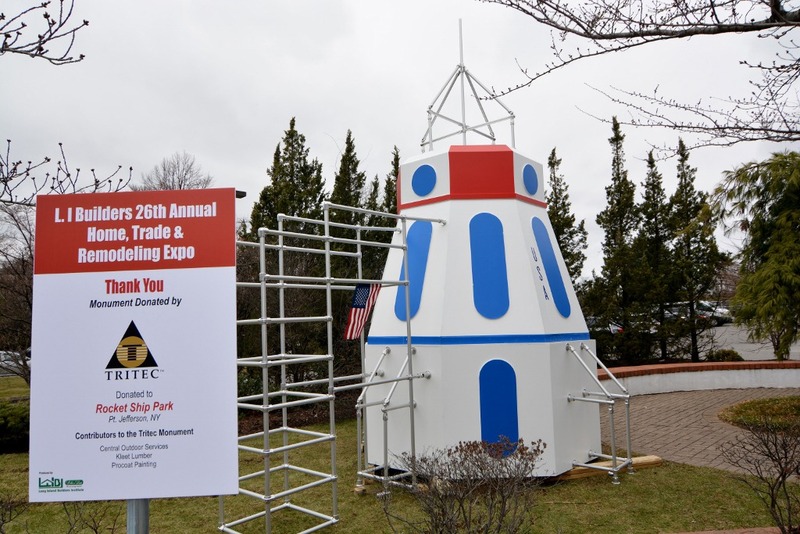 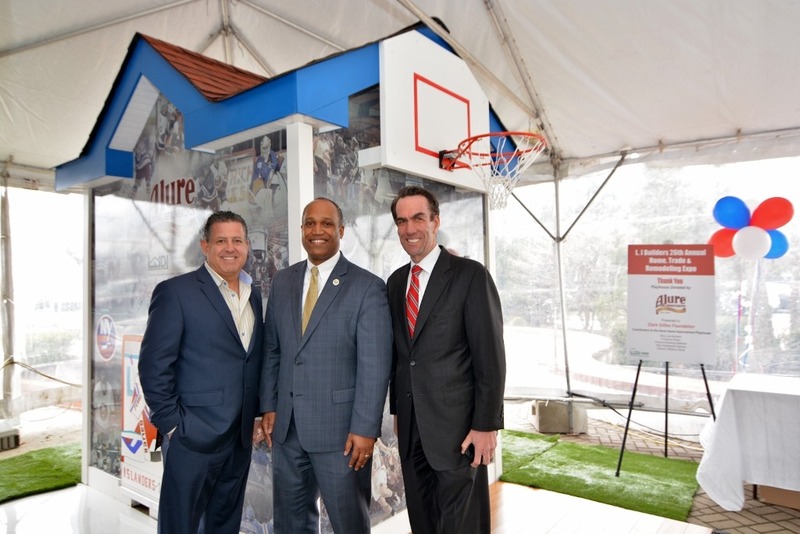 LIBI members built and donated 5 children’s playhouses to various charitable organizations on Long Island. LIBI members annually provide toys, clothing and food to needy families and children during the Holiday Season. 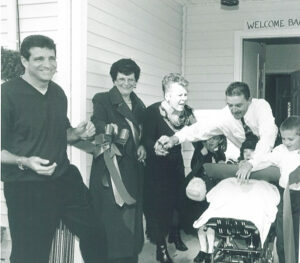 The Catholic Church in Wyandanch had a devastating fire in its Parish Center. 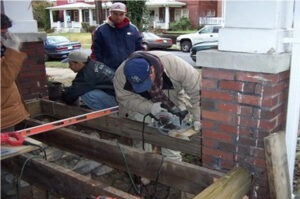 LIHBC donated labor and materials to build needed ramps, platforms, and fences during its rebuild. 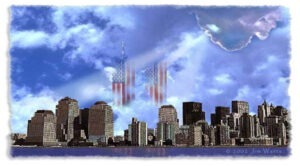 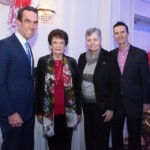 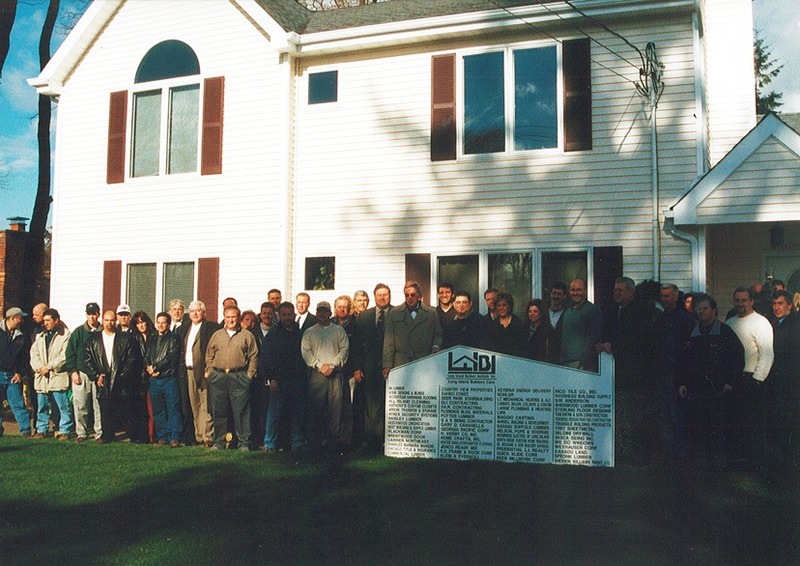 Worked in conjunction with other building organizations to raise and contribute over $400,000 to the victims and families who were affected by the 9/11/2001 tragedy.